Paul Hitzelberger is president and owner of Utah Del in Salt Lake City. 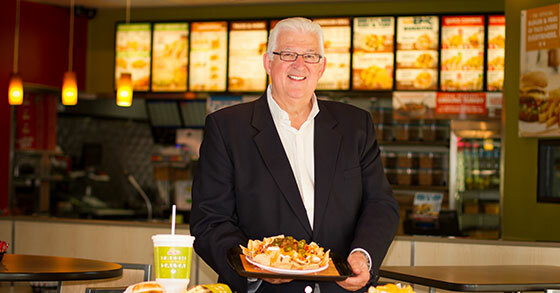 He is a former Del Taco executive and his long tenure and passion for the brand is evident in the 26 restaurants he operates today in Utah. He and his employees play an active role in helping the community and families in need. Utah Del has supported the Utah National Guard Foundation, the National Ability Center and a handful other organizations, providing more than $150,000 in contributions in the last year alone. He has been a franchisee for the past 9 years and the company's annual revenue is $31 million. If Del Taco were a sports team, Paul Hitzelberger would not only be its MVP, he'd also be the GM and coach. The best franchisees are some of the hardest-working and kindest people around. They provide customers with consistent products and services, give back to their communities, and provide jobs for thousands of employees. Paul Hitzelberger: What Do You Do For Fun?